The Jeep Wrangler is an iconic vehicle that is well-known for its off-roading abilities. It was designed to be the best mode of transportation in adverse conditions, and it has lived up to that legacy. 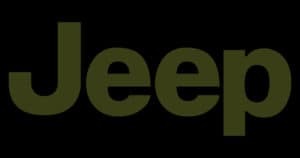 Jeep continues to make improvements to the design with new features, and it continues to be one of the best off-roading options that you can get. Here are 5 reasons the 2017 Wrangler Rubicon is the best off-road vehicle. The Jeep Wrangler Rubicon is designed for off-road driving which requires significant changes in how it is designed and built. Jeeps are equipped with multiple systems designed specifically to handle uneven and loose terrain. It has Jeep’s 4×4 system that gives it independent control over each wheel. The Rubicon has the ability to speed through smooth trails or crawl over uneven terrain with relative ease and consistent control. The 4×4 system gives it a strong advantage over other off-road vehicles. Traveling off-road can be loud. Fortunately, the Rubicon comes with the Alpine Premium Audio System that gives you the sound quality that you want even at high volumes. It is the best way to have the listening experience that you want while still getting the off-road experience. Since the Rubicon is built for off-roading, it is designed for slippery and adverse conditions. That’s where the Tru-Lock mechanical lockers come into play. As the Wrangler Rubicon Crawls over uneven or slippery terrain, the lockers us a mechanical force to lock up the wheels when you need to. You won’t have to worry about slipping when each wheel is able to lock into place. Aside from these luxury and functional features, the Jeep Wrangler Rubicon comes with a wide range of off-roading features to make traveling easier. These include rock rails to help you get in and out of the vehicle with relative ease, and a soft top that reduces exterior noise. The soft top is also easier to clean for the days when the trail gets messy. The Jeep Wrangler Rubicon also comes in several specialty trims. The Rubicon Hard Rock and the Rubicon Recon are designed to give you the level of luxury that you are looking for while adding to the Wrangler’s already substantial functionality. The Hard Rock is designed to maximize the Rubicon’s climbing and stability abilities. That way, you can pass nearly any kind of obstacle or trail safely. The Recon takes on a similar design as the original Jeep, but with many of the features that make it one of the best off-road vehicles today. As the Jeep Wrangler continues to evolve over time, it consistently gets better at traveling in tough places. If you travel off-road often, it is one of your best options to consider. Your local Jeep dealer is the best way to learn more and experience the Jeep Wrangler Rubicon for yourself. To see what inventory’s still available, check out Eastgate Chrysler Dodge Jeep Ram.